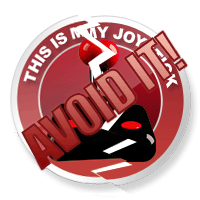 Review: Deadliest Warrior: The Game Review - This Is My Joystick! Ever wondered who would win in a fight between a Pirate and a Viking, or who would prevail between a Spartan and an Apache? Nope, me neither, but continually answering the questions that no one asked has been the niche American TV show, Deadliest Warrior. Having never seen the show, hypothesising the outcomes of battles between some of history’s most well known soldiers seems a trite and pointless idea for a TV show if you ask me, but with its apparent popularity, Spike (the producers behind the show) and Pipeworks Software have decided that it’s a format that would lend itself perfectly to a fighting game. Released last Wednesday on the XBLA & PSN, the imaginatively titled ‘Deadliest Warrior: The Game’ is a strange one to play through. So, as you’d imagine, the game features combatants that have featured in the TV Show, but with only eight to choose from, it is a quite paltry amount for any fighting game. More will apparently be offered later on down the line through DLC, but I fear the game will have outstayed its welcome long before they are made available. The game is also quite limited in terms of single player modes with only a choice of four. The meatiest, although still very light on substance is the Arcade Mode, where as you’d expect, you’ll tackle each combatant in a best of three. The other modes inclusions are negligible, the types you’ll never really venture into, with Battle offering you a one off fight against the AI, an unlockable Challenge Mode where you’ll fight waves of enemies with a few variations inbetween, and finally a Practice Mode, which I’m pretty sure you’ll all understand what that does. As a huge fan of both Bushido Blade titles back on the PSOne, I was excited to hear that Deadliest Warrior was gaining a few comparisons in that direction. It is true, Deadliest Warrior does indeed remind me a little of Bushido Blade, but features exactly none of the finesse that was evident in Squaresoft’s classic. The initial bout of nostalgia comes about because this is a game in which you can render an opponent’s limbs entirely useless by getting a vital hit, or slice them off altogether if you’re lucky, but that’s all it comes down to; luck. I was fooled early on in my first match, as I ran towards my opponent, he threw a spear at me that went through my Spartan’s face and killed him instantly. Rather than putting me off as it might many, I thought briefly that I might be reviewing a game with realistic damage that could require some skill and careful strategic combat to master. 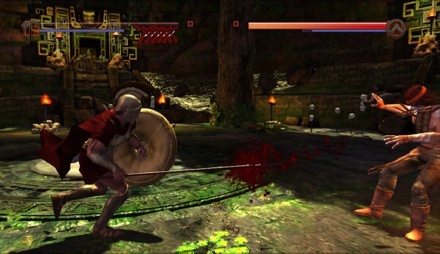 Sadly, it quickly became clear that this aspect of the game is rather redundant in gameplay as any moments that involve instant death, or limbs and heads being lopped off usually amount to pure fluke coming at the end of rather ungraceful slugfests, meaning you get no satisfaction out of it other than it looking a little cool the first time it happens. It’s all set out to make the pretence of a strategic game though, a lot of the time you’ll find yourself guarded, trading the odd blow waiting for the right time to parry and then flurry one of the games extremely basic combos, and it’s here where you’ll find the most enjoyment, but it just lacks any skill to hurt your opposition. It's Knight time for the Ninja. It all feels very heavy too, not helped by sluggish controls that leave you feeling a little detached from the action or a stamina system that prevents the fight from flowing. Every time you attack, you use stamina, which recharges over a short amount of time. The problem with this is that it’s aimed at keeping the fight open, but it prevents you from gaining any kind of momentum and ending a fight in style, sometimes even resulting in an almost turn-based fight. The worst aspect is that the game has some pretty severe balancing issues, with one or two characters having a clear power advantage over the others, and the pay offs for choosing some of the weaker ones aren’t exactly the levellers they should be. 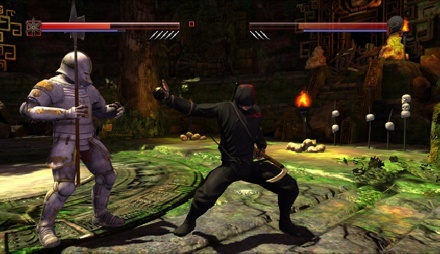 Each character has two melee weapons; the default is the short ranged weapon, and a mid-ranged weapon, which is slow but extremely powerful (these can be alternated at any time by using the left bumper). I found there to be very little point in bothering with the mid-ranged weapon, as by the time you’ve managed to take a swing at thin air, you’ll find yourself heavily sliced up before you can say ‘decapitation’. Every fighter also has a projectile, which can only be used a certain amount of times (which appears to be determined by how powerful they are; more powerful, fewer uses). The dodge control is vital to any enjoyment you’re likely to derive from this game, and this is mapped to the Right Stick and is direction sensitive. 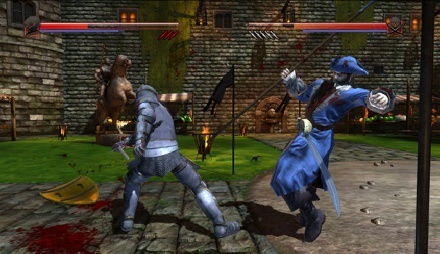 The dodge also differs depending on your character, the more agile fighters, such as the Ninja or the Apache can use it for quick rolls to get a better strike or to put distance between themselves and their opponent, where it’s less of an advantage for someone like the Knight, where you can only really side-step an oncoming attack. I found this could often hinder you, thanks to the slightly ropey way in which the game manages the 3D plane. In between some of the matches, you’ll be offered up one of two bonus rounds. In the first you have to hack down all the pig carcasses hung from the ceiling with in the thirty second time limit. The second puts you in a fight where every hit takes off a limb, and the winner is the first to reduce the other to a bloody mess of a jigsaw. Both are less than gracefully executed and not remotely worth the time to include them, but they do at least serve a purpose. After you’ve beat these with a fighter, you’ll unlock new and updated weapons for that character, adding a layer of customisation and replayability. In the end, though, the game is just not fun enough to warrant multiple playthroughs. When in Rome, do as the Romans do. Kill Native Americans, going by this. To be blunt, Deadliest Warrior is far from an attractive game, and is definitely leagues below even the most basic looking games on XBLA or PSN. This in large is thanks to the poor texturing, which features a horrible muddying effect (especially noticeable in the environments) that reminded me of resizing a picture to a few sizes too large on Photoshop. The fighters are modelled just as badly, looking extremely dated, a fact that slaps you in the face as early as the main menu. The unmasked characters actually look like they’re suffering a bout of gigantism, probably thanks to being stung many times in the face by an entire colony of wasps. Some of the motion captured animation is also weakly done, and while it never looks quite laughable, there is something quite ‘off’ about it, particularly during pre-fight entrances or victory celebrations. In the midst of combat, some of the lighting goes a little way in covering up what is just an ugly game where the only redeemable feature visually is the way the blood coats the surfaces. The moment you are taken a little closer to the action, any plus points you could find (while clutching at straws) are ripped away immediately. ‘Minimal’ is the word I’d use to describe the use of audio in Deadliest Warrior, and on the basis of the quality of audio that has made it into the final game, I’m not very surprised. While the sounds of swords clashing is not a very hard effect for a developer to mess up, and the sound track (which I am assuming is ripped from the TV Show) does a job, sounds and lines from the combatants are really grating. Every slice, every bit of speech seems to host an example of a low quality recording with slight ‘white noise’ over the top of it. This is noticeable when the game goes quiet during loading screens. What’s worse is the audio used to add a bit of validity to the environments, with the Ninja’s stage particularly annoying me with a horrible constant irritating beep that is supposed to be that of birds and grasshoppers. Thankfully, when I did eventually get into matches they tended to be completely lag free. None of that makes the core gameplay mechanics any more fun of course, but it’s nice to know that the people who are getting some enjoyment out of the game can do so in a fairly unproblematic online mode, without fear of being plagued with lag or other issues. There is a tournament mode included on the online multiplayer menu, although I have no idea what it is about as I only ever received the message ‘No games found that match that search’ in every attempt to play it, and the only time I did manage to start a match in that section, the player dropped out before I got chance to fight. Tonight, I have dined in Hell! Deadliest Warrior is a deeply flawed game, but I do have to admit that it’s not totally without its charms here and there. When you’re in a middle of a close fight, knowing that the next strike could prove to be your last, the game does have a certain tension that makes it fun in short periods. Those moments, however, are too few and far between in what is simply a clumsy and ugly fighter with little depth and barely any staying power. Give it miss.